One of our readers from Newmarket says ... A Wolf spotted in Newmarket? I swear a wolf was just in my yard. My dog and I were up on our deck and she was whining like she does when she sees something she wants to play with. I stepped closer and I saw a big husky-looking dog ... but there are literally no dogs in the area like that (every one owns small dogs). My dog is 65/70 lbs and this animal was about the same size with the big pointy ears. We have cats and dogs all over our property. I went and asked my mom and she said she saw the same animal just 2 days ago and believes it's looking for our cats. I looked up coy wolves and it looked like that, maybe a little bigger, than some of the pictures I saw, and white. This is crazy and scared the crap out of me ... My dog and I constantly go out in the yard this time of night to play off leash. I won't be doing that again. This was at Bayview Ave and Gorham St in Newmarket. "M" from Caledon East, wrote to tell us about Wolf tracks in the snow south of highway 9 ... I saw them behind the house while going out for wood. Too large for Coyote tracks. There are no dogs in the area other than my tiny mutt, which is probably what they smelled. The tracks looked much larger than a full grown German Shepherd's tracks. That Shepherd was at least 90 lbs. Hate to say it, but its time to pull out the shotgun perhaps. 10 meters off my back door is not comforting with little kids and pets. Daniel from Toronto wrote to say ... For about 6 years now I have heard a wolf-like howl at night time, usually after midnight around 1 or 2 am. 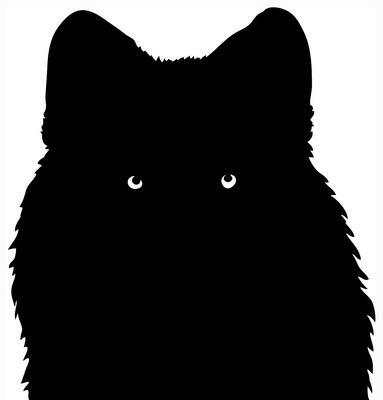 One day in the winter of 2010 I saw a big wolf-life figure come out of the large forest and creek I have across my house, it was during a snow storm. It walked across the road and disappeared between one of the houses where I couldn't see it anymore because of the heavy snowfall. I still hear this howling often at night. In November, a reader wrote to tell us ... I saw two Wolves at the train tracks on Casablanca Road in Grimsby, Ontario.